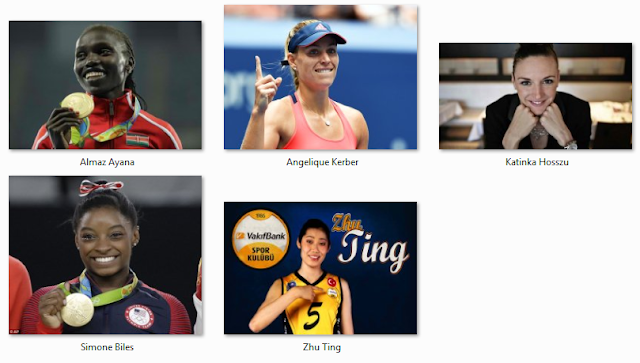 Home People Sports Top Global Searches Trending Xinhua News Agency Xinhua News Agency selects the best 10 world athletes of 2016. 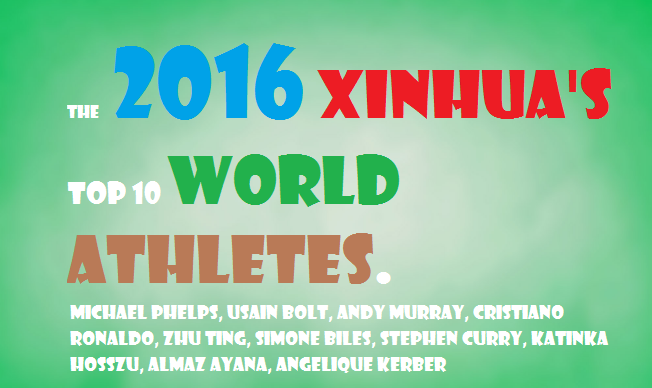 Xinhua News Agency selects the best 10 world athletes of 2016. 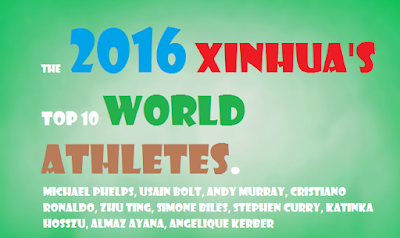 The 2016 Xinhua's top selected world athletes. Michael Phelps (USA), known from his sports swimming. He was named the FINA Athlete of the Year and received "Aquatic Legend, the Greatest of All Time" award in 2016. Usain Bolt (Jamaica), a sprinter. He is the first man to hold both the 100m and 200m world records since fully automatic time became mandatory. He was crowned the IAAF World Athletes of the Year for the sixth time in 2016. Andy Murray (Britain), a tennis playes. He became the first British man to reach world No. 1 since the introduction of rankings in 1973. Murray dominated the calendar year of 2016, winning Wimbledon and the Rio Olympics, followed by four consecutive championships in Beijing, Shanghai, Vienna and Paris. Cristiano Ronaldo (Portugal), a soccer player. He received his fourth Ballon d'Or in 2016. Euro 2016 is the Portugal's first ever triumph in a major tournament. Zhu Ting (China), is a volleyball player. She was the Rio Olympics MVP and Best outside Hitter by FIVB. Simone Biles (USA) is a gymnast that selected as Rio Olympics MVP and Best outside Hitter by FIVB. Biles is a three-time world all-around champion and a three-time world floor champion (in 2013-2015). She is also a two-time world balance beam champion in (2014 and 2015). Stephen Curry (USA) is a basketball guard player of the Golden State Warriors. Curry won the unanimous vote for MVP title, and led the Warriors to their first championship since 1975. Katinka Hosszu (Hungary) is a swimmer. Hosszu was crowned FINA Athlete of the Year in 2016. Almaz Ayana (Ethiopia) is a long-distance runner that was named the female World Athlete of the Year at the IAAF Athletics Awards 2016. Angelique Kerber, a tennis player who defeated defending champion and then-world No. 1 Serena Williams to win the Australia Open.